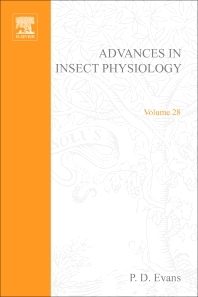 Advances in Insect Physiology is committed to publishing eclectic volumes containing comprehensive and in-depth reviews on all aspects of insect physiology. First published in 1963, it is an essential reference source for invertebrate physiologists and neurobiologists, entomologists, zoologists, and insect biochemists. In 1999, the Institute for Scientific Information released figures showing that Advances in Insect Physiology has an Impact Factor of 4.5, placing it second in the highly competitive category of Entomology. Physiologists, neurobiologists (especially insect), entomologists, zoologists, and insect biochemists. Research and library markets.